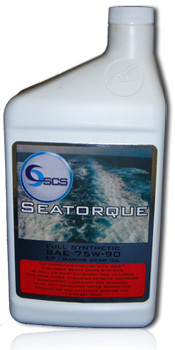 Seatorque Full Synthetic GL-5 75W-90 is the ultimate gear oil system meeting all OEM performance targets, specially blended to provide maximum protection as well as helping to improve fuel economy while promoting extended component life in marine bearing and gear applications. This 100% synthetic base oil product coupled with a robust additive system and an improved viscosity modifier provides excellent Low and High temperature performance to give the best protection under extreme conditions of use and longer life than most conventional gear oils. 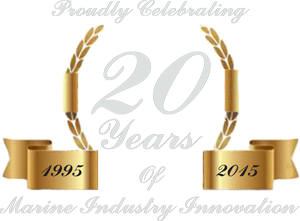 The additive system ensures extreme pressure, shock proof performance, with extended drain intervals designed to minimize component wear under the most arduous of marine environments. Enhanced water separation improves uninterrupted surface coating, reducing metal-to-metal contact within bearing surfaces and gear trains. Suitable for use in most outboard and I/O gearcases.